Day 21 brings us M. Katherine Clark and her paranormal thriller, Wolf’s Bane, which releases October 25th! Legend has it, that when the Romans invaded Britannia in 55 B.C. the people of that land roamed wild and free. Once the Roman legionnaires pushed back the wild and untamed Celts, they built a wall; Antonine’s Wall. It was once magnificent, once imposing… trust me, I was there, I saw it. But was it the humans they feared… or us? There are so few of us left. But under the Hunter’s Moon, we lived and we died and this is the story of both. I have been writing thrillers since about 2003. I started young, eighth grade in fact. We were in science class and we had a forensic lab week. Afterwards, we were asked to write about what happened. It could be fiction or nonfiction and that is when my main characters in two of my novels found their way into my head. The Greene and Shields Files are classified as mystery thriller and suspense thriller. Then I was inspired to write Wolf’s Bane which is a paranormal thriller. When I was younger, my mom would read to me all of the classics including all of Sherlock Holmes. I fell in love with Sherlock Holmes and wrote my own; Soundless Silence. That drew me to the thriller genre. Wolf’s Bane was inspired after I went to Scotland and heard a story about how there are no wolves in Scotland or Ireland. They apparently vanished overnight and no one (to this day) knows what happened to them. When I got home, I had a very vivid dream about a man carrying a pregnant woman through a rainstorm in the woods of Scotland. This man was not human and when I approached I saw he had yellow eyes. Almost immediately in my dream (as one does in dreams) I knew he was a wolf shapeshifter. As soon as I woke I wrote everything down and those notes became The Wolf’s Bane Saga. My next novel will be a ghost story (also set in Scotland) Please enjoy the blurb below! Nikki Thompson, bestselling mystery writer, is suffering from the worst writer’s block of her life and to make matters worse, her boyfriend of five years tells her he never loved her. Heartbroken, she decides to accept an invitation to the 10th Annual League of Extraordinary Writers Authors’ Retreat just north of Edinburgh, Scotland. The accommodations are something out of a fairy tale, oh and the ghost is complimentary. Fearsome MacPherson, a Scottish laird from the eighteenth century, roams the halls of Castle MacCulloch looking for the Highland Pride, something lost or stolen from his family centuries earlier. Juggling her desire to get away from her life and her growing need to help the Scottish ghost, who seems to appear only to her, Nikki enlists the help of Ross Sutherland, a mysterious Scot who has secrets of his own. Follow Nikki’s journey as she and Ross attempt to find the Pride and lay their ghosts to rest. Classics are always better! Anything with Vincent Price but most of all The House on Haunted Hill! M. Katherine Clark is a Butler University graduate and an Indiana native. 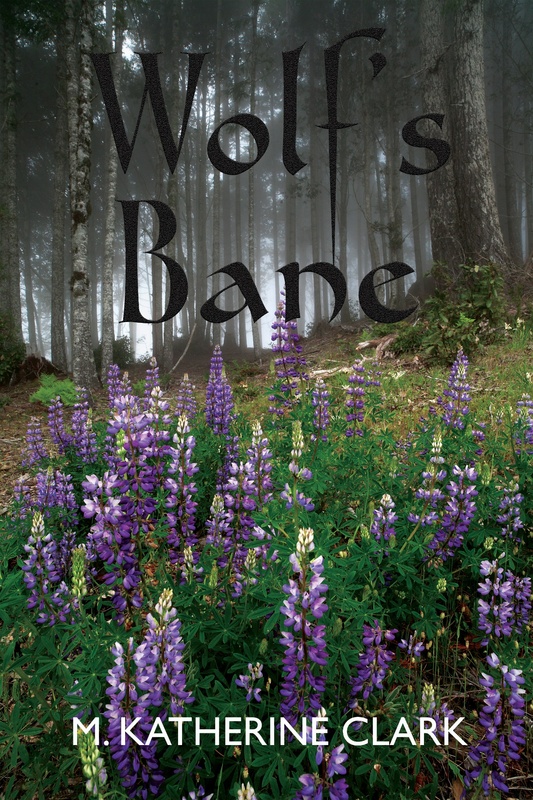 Wolf’s Bane is her fifth novel and the first in the Wolf’s Bane Saga. 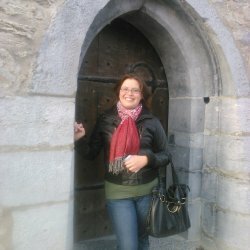 In 2013 she traveled to her ancestral homelands of Scotland and Ireland and fell in love with the people, places, history and lore. Upon returning home, she wrote several novels that centralized around both places. Please check her website for more information, appearances and new releases! Buy links – The release date for Wolf’s Bane is October 25th.